« Jesus, not our chocolate! What will $435million get you these days? Two of the US’s top wineries. 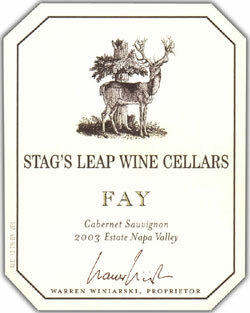 Last week Stag’s Leap Wine Cellars was sold to Washington’s Ste Michelle for $185 mill, as no one in the family wanted to take over the historic estate, while a private equity firm purchased Duckhorn, which includes Paraduxx and Goldeneye for upwards of $250 mill a few days later. Even though the president, Alex Ryan denied that the company was even for sale as recently as March 14th, stating that,”This town loves rumors.” Ha! I love it when they’re right! It makes you wonder if there will ever be the generational pride that exists in France, that has resulted in wineries staying in their families for hundereds of years, as ours strugle to transition even from the first generation to the next. 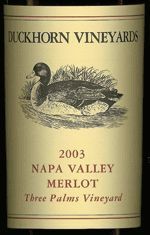 This entry was posted on August 13, 2007 at 6:46 am and is filed under Wine News. You can follow any responses to this entry through the RSS 2.0 feed. You can leave a response, or trackback from your own site.